This narrowboat has so much potential. The exterior could do with repainting and I noticed a few spots of rust around, nothing that looks too serious from what I can see though. The Interior is a much different story, classic river/ narrowboat style, very cute and cosy with some really nice features. The potential however is only limited by your imagination, I couldn't help but think whilst viewing her, with the amount of space up front how amazing it would be as a water cafe/ restaurant or coffee shop, book shop, etc or even a garden. An excellent space which is currently not being utilised, and something a little different. The current owner has taken ownership of her from his uncle who is not well, and is looking to sell as he already has a boat. 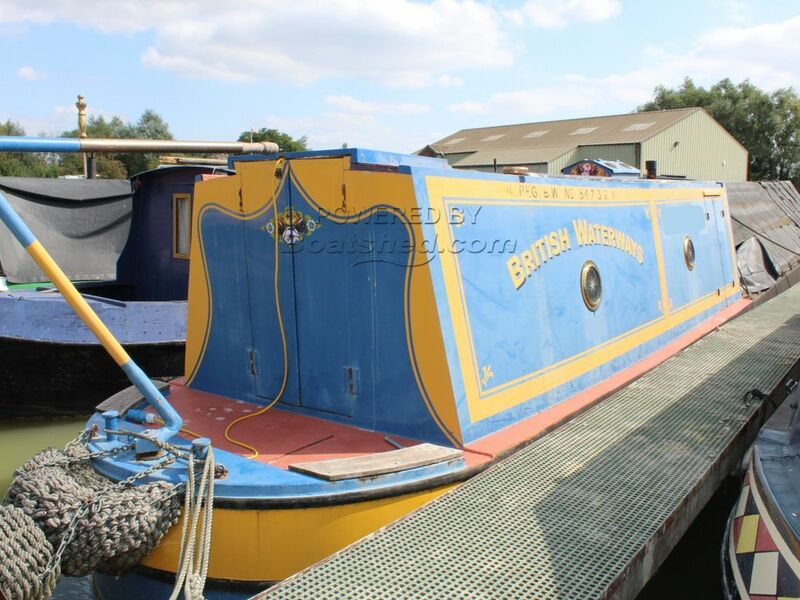 This Narrowboat 50ft Working Boat has been personally photographed and viewed by Oliver Yates of Boatshed Bristol. Click here for contact details.